Opposites attract with this striking living room centerpiece. 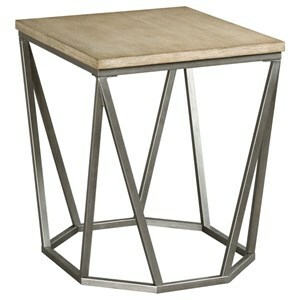 The cocktail table is equal parts edgy and inviting, contrasting a quartered oak top with an angular metal base. The oak top is finished in a soft Natural Oak coloration that feels casual and on-trend. 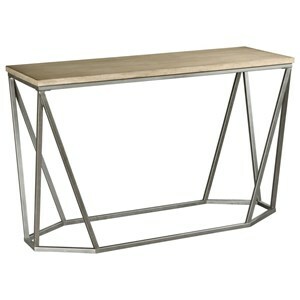 The Trillion Wood and Metal Rectangular Cocktail Table with Geometric Modern Base at Morris Home in the Dayton, Cincinnati, Columbus, Ohio, Northern Kentucky area. Product availability may vary. Contact us for the most current availability on this product. Case Construction Quartered oak veneers and select wood solids. Metal base. The trending room designs on social media are showing a lot of texture and mixed materials. For a share-worthy room, these modern living room tables are the perfect accent pieces. Dynamic shapes and sharp angles make a compelling contrast to the softer wood tops. 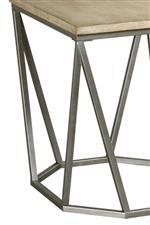 Plus these wood and metal tables mix effortlessly with other textures like stone, glass, and textiles. The Trillion collection is a great option if you are looking for Contemporary furniture in the Dayton, Cincinnati, Columbus, Ohio, Northern Kentucky area. 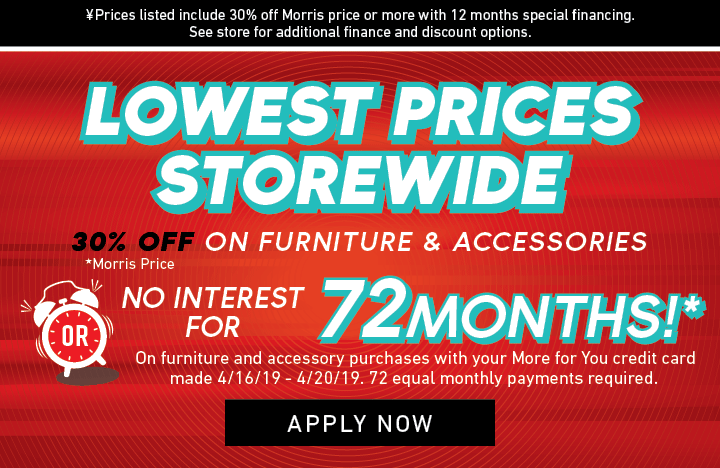 Browse other items in the Trillion collection from Morris Home in the Dayton, Cincinnati, Columbus, Ohio, Northern Kentucky area.